We truly appreciate our customers. We are not happy unless our customers are happy therefore, it is so nice to read a Greener Texas rave review on Yelp such as this one. Words cannot express how much I LOVE Greener Texas. Family run, local, trustworthy, masterful in terminating pests, and simply the most kind people in the industry. 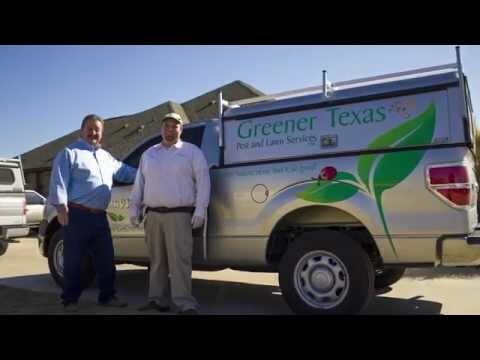 Greener Texas is the only pest service I will ever use. I am so very grateful for their hard work in handling a pest issue in my new home after a recent move. I had them for years in my previous home and although pest control in now offered free (by a different vendor) in my community, I won’t even consider having another company in my home. I simply do not trust anyone to complete the job at the same superior level as GT. I give my word that these guys work harder, more efficiently, and more effectively than any other company in Texas. They are knowledgeable and thorough and have won me over as a loyal customer for life. If you are one of our happy customers and know someone that could use our services, please forward this Yelp review to them. Our customers get $20 off their next pest control service when they refer someone that uses our services. Greener Texas rocks !!! I love the fact this company cares about our environment. This was the main reason I contacted them when I had concerns getting on a pest control maintenance plan. I have been a customer of theirs for several years now and the owner Rick is just a great guy. He will work with you to get the best time and date scheduled for you and provide you with all the answers if you have any concerns. His son Chance is an amazing guy also and does a fantastic job regarding servicing your property. He is knowledgeable about your pest issues, performs a very detailed job and makes sure you are happy with their services and assures you a pest free environment. Give this company a call the next time you need pest control services, you will not be disappointed.